To activate, crack the glow along the length of the straw, shake it for good measure, set in your drink and slurp away. NOTE: Glow Drinking Straws come in packs of 25. When you buy 1 you will receive 25 Glow Straws. When you buy 2 you will receive 50 Glow Straws and so on. 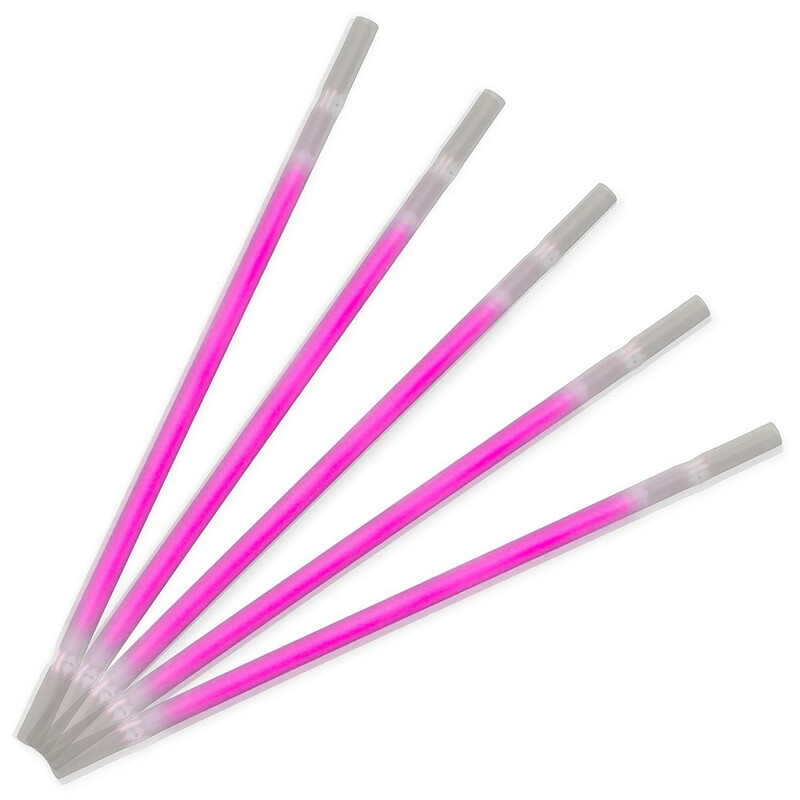 Glow Color: Pink Length: 9″ Straw; 6″ Glow Stick Inside Glow Drinking Straws do not require batteries, so don’t worry about it. They come ready to glow.